Stop by one of these pregnancy spas in New York, so you can enjoy relaxing massages and other premium spa treatments before giving birth to your lovely boy or girl. Choose from our list of maternity spas in New York and find one that best fits your prenatal needs. 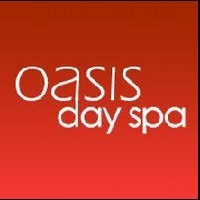 One of the Best Pregnancy Spas in NY! Voted as delivering the "Best New York Pregnancy & Prenatal Massage in 2010" by the website Citysearch, Sage Spa offers quality maternity massages from certified experts in the field. Sage Spa's owner, Susan Stratton, boasts over 30 years of prenatal massage experience. Feel relaxed and pampered, before delivering your beautiful baby girl or boy! Get relief from stress, common backache, and various pains associated with childbirth. The massage sessions last anywhere from an hour to 90 minutes. Each session will be tailored to your individual needs and to the changing needs of each trimester. To maximize your comfort, you will be provided a "BodyCushion, " which will allow you to enjoy lying face down until your 12th week. Also available are post-partum massages. Pregnancy is a very exciting experience for all women, but along with the excitement are the emotional and physical aches that pregnancy brings. From hormonal changes to back aches and leg cramps; any woman would want the pregnancy torture to be over and done with the soonest time possible. So treat your woman to a relaxing and relieving Maternity Spa in NY or if you're visiting New York City while you're pregnant, what better way to treat yourself than with a prenatal massage at one of these maternity spas in NY. These spas have massage therapists that are experienced in pregnancy massage and will offer you a great prenatal massage treatment. One of the sought after maternity spas in NY is Edamame Maternity Spa. Mothers to be are able to lose themselves in a luxurious zen-like retreat. Tranquil ocean sounds and soothing teas are just the start of this pampering experience, including a complete menu of spa treatments specially designed to rejuvenate the expectant mom’s mind, body, and spirit. On staff are highly-skilled facialists’ and massage therapists providing top of the line services that are specifically designed for moms-to-be. 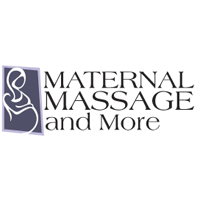 The Prenatal Massage Center of Manhattan is owned and being run by Anne Heckheimer. Anne Heckheimer is a New York licensed massage therapist. She specializes in prenatal massages and postpartum massages which she has been doing for over 5 years. Prenatal massages have risen to prominence over the past decades alongside the increasing awareness among the society about the personal health and wellness of every person. So if you want to take care of your body and the body inside you, release the stress of your body and go to the Prenatal Massage Center of Manhattan in NY! Pregnancy is period of a lot of changes in a lot of aspects like physical, emotional and social. Getting a massage at the Maternal Massage & More is a great way to help you increase your energy, relax and relieve the discomfort in your body. There are a lot of benefits in having a maternal massage like reduction of stress on weight bearing joints, eases the constipation, heartburn and gas, reduction in the excess fluid retention, increases the body’s flexibility and relieves the common discomfort pregnant women usually have. 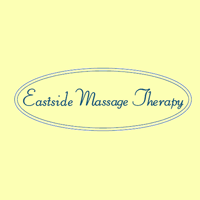 The Eastside Massage Therapy is a spa center that was established in the year 1983. The Eastside Massage Therapy in NY is an internationally renowned spa center for their deep tissue therapy treatments which help a lot of people with their chronic muscle pains. This spa center in NY specializes in moderate, gentle and deep tissue massages which will loosen the tight and knotted muscles in the body. You actually do not need any medical permission or prescription to receive their massage treatment, but if you are experiencing any medical condition, better consult your doctor first. The massage therapists at the Great Jones Spa have ranked as some of the most highly regarded professionals in the city of New York and in the world as well. The Great Jones Spa in NY offers a lot of services for everyone, and that includes pre and post natal massages. The Great Jones Spa only gives pre natal massages to those past their first trimester already. Their services will help you release the stress on your joints which includes your neck, lower back and shoulders. 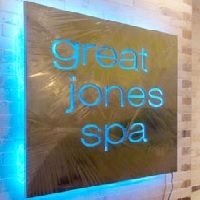 To release your pain and aches, visit the Great Jones Spa now. Getting a prenatal massage will help your body become relaxed and feel refreshed. The prenatal massage at the Oasis Day Spa will help you relax tense muscles, improve mobility and circulation, ease sore spots, release pains and aches and just feel good about your body again. The massage at the Oasis Day Spa in NY is specifically tailored to the needs of pregnant women and the changing body needs. The therapists will really help you ease your pain. The Bella Vista Day Spa is a small and elegant spa center in Manhattan. They are offering expert massages and facials at their wonderful place. Every case and body is different which is why they are offering various services so that every customer's needs will be catered to. 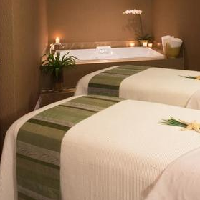 The massage and facial sessions are personally tailored by the staff of the Bella Vista Day Spa in NY! They are proud and passionate about what they are doing and this will reflect in their services. Rhemedy By Rhed offers therapeutic massages to the city of New York. 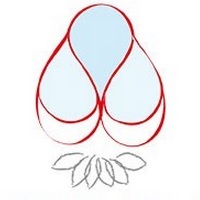 Their services provide a combination of massages which include massage types like Swedish, Hot Stones, Aromatherapy, Massage Cupping, Thermatherapy, Thai Yoga, Deep Tissue, Cranio Sacral, Lymphatic Drainage, Pre/Post Natal and Reflexology. The services of Rhemedy By Rhed merge the aspects of the types of the massage which they will provide! There are a lot services which will fit your needs and your body at Rhemedy By Rhed in NY! Massage Refresh is providing Swedish wellness and recuperative deep tissue massages that will encompass the myofascial release which will eventually trigger a point therapy. The therapist at Massage Refresh in NY is experienced and certified in the Prenatal Massages and also Thai table massages as well. Every session, the therapist aims to promote health and wellness within the body of the person undergoing the massage. 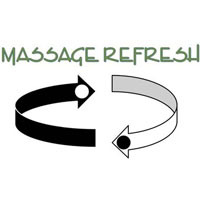 Check the website of Massage Refresh and know more about their spa center. Calm Massage is being run and maintained by Joanna Trinali who is a massage therapist and a holistic aesthetician. She will be the one personally attending to your needs because she has been a practitioner specializing in massages and skin care for more than 20 years. She has gained knowledge and information which will serve you better! You will be able to have a deeper sleep, maintain proper weight, gain better concentration, graceful movement and a lot more once you step out of Calm Massage in NY! At the Green Spa you will be able to experience a great body massage and you will gain a better outcome! 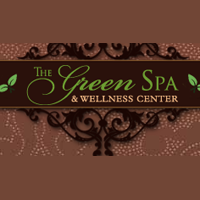 The Green Spa in NY only hires highly trained therapists in order to give you the best service possible. All the therapists at the Green Spa are all fully licensed and gained expertise in their field. Because of this, all of the customers at the Green Spa end up healthier, happier and more beautiful than they were before!